Lin-Manuel Miranda, a man whose mind we assume is basically just a pop-culture encyclopedia, knows his Disney songs. Case in point: The series of Instagrams he posted when he took over the Walt Disney Animation Studios account on Sunday. Miranda was on hand to promote Moana—the upcoming animated feature for which he wrote music—but he mostly just took the opportunity as a chance to stage a virtual singalong. He started with a fairly obscure selection, “A Whale Of A Tale” from 20,000 Leagues Under The Sea. 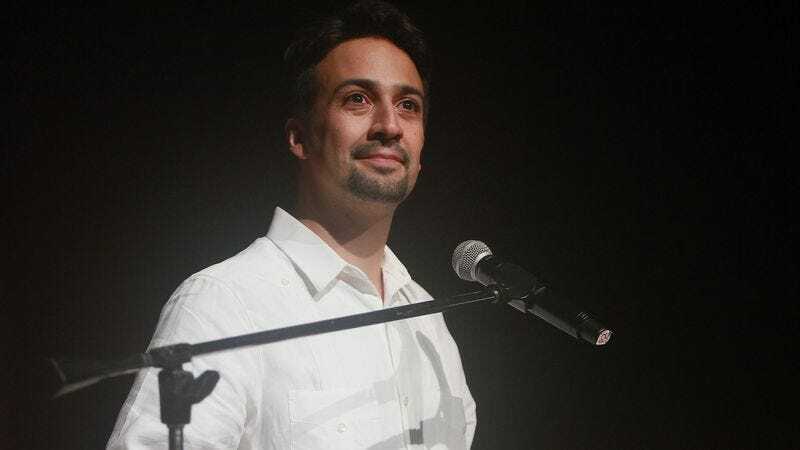 Few classics were spared from a “#linstagram.” He did some Aladdin, a couple of tunes from The Little Mermaid, and showed a lot of affection toward The Hunchback Of Notre Dame, taking on the roles of both Frollo and Quasimodo. Finally, he wrapped everything up with a selection from Moana, which will likely be an inescapable earworm come November. Not that we’re complaining.